A Zen master comes to Capitol Hill. On a blustery evening last autumn, Zen master Thich Nhat Hanh visited Capitol Hill to deliver a lecture. Latecomers filed into the dim Coolidge Auditorium at the Library of Congress, looking harried. 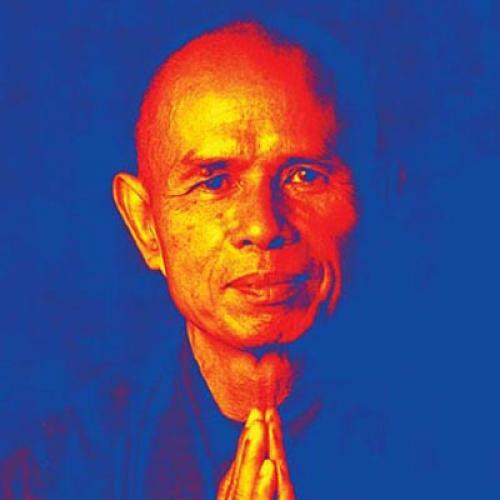 Like an aging rock-and-roller, Hanh remained in the wings while a young monastic warmed up the well-heeled Capitol Hill crowd with a breathing exercise—“I see my parents as five-year-old children, smiling.” Afterward, Hanh shuffled on stage and settled onto the floor, his whippet-thin legs disappearing beneath his heavy, chocolate plum robe. For millions of Westerners—from the pious to the in-crisis to the merely curious—Hanh has come to represent Buddhism itself. (Perhaps you’ve read one of his 40 or so English titles, such as Peace is Every Step, Being Peace, Touching Peace, or Anger.) Since joining the monkhood at 16, Hanh has risen to the level of Dharma teacher, one of the highest titles in Buddhism. His genius—or shrewdness—comes in distilling thousands of years of Buddhist thought and discourse into bite-size pieces that even Americans can swallow. Follow each breath. Pay attention to emotion. Listen deeply. Following his lecture, Hanh led an overnight retreat for members of Congress, their families, and staffers, co-sponsored by the Faith & Politics Institute and the U.S. Institute of Peace. Between five and ten members of Congress participated. Getting the denizens of Capitol Hill to focus on their “non-me elements” might sound like a tall order. But at least a few elected representatives, it seems, are taking Hanh’s message to heart. THICH NHAT HANH is no stranger to U.S. politics. Born in 1926 in Vietnam, he went on to found the School of Youth for Social Service, which mobilized 10,000 monks, nuns, laymen, and students to undertake reconstruction efforts in South Vietnam during the war. Hanh was also an outspoken peace activist, traveling to Washington in 1966 to make the case for a cease-fire to Secretary of Defense Robert McNamara, Senator J. William Fulbright, and Senator Edward Kennedy. The following year, Martin Luther King nominated him for the Nobel Peace Prize. At the time, King said, Hanh was “virtually homeless and stateless,” unable to return to Vietnam without putting his life in “great peril.” He remained in exile for the next four decades. Hanh lives in France now, but over the years he has visited the United States regularly, speaking about his philosophy of engaged Buddhism and advocating for peace. In the United States today, there are more adult converts to Buddhism than to any other faith outside of Christianity. Hanh can claim at least part of the credit—not every world religious leader has the honor of an interview with Oprah. Last year’s congressional retreat was Hanh’s second. The first, in 2003, was attended by nine members. Among them was Ohio Democratic Representative Tim Ryan, who sits on a cushion and meditates for 45 minutes in the morning before leaving for work. “My thoughts will carry me away ... and then you just try to come back to your breath,” Ryan told me. “Because the only moment you have is the present moment.” He continued, “The best thing you can do for your future is to be here in the present, and that will affect the decisions that you make, because you’ll be making them based on clarity, on what’s going on right now.” Ryan was raised Catholic, and he hasn’t left the Church, but meditation has “changed everything” for him. “It helps me resolve conflicts better than I used to,” he says. “You don’t hold onto [things] as much. If someone says something nasty to you, you let it go.” Ryan is now writing a book called A Mindful Nation: How a Simple Practice Can Help Us Reduce Stress, Improve Performance, and Recapture the American Spirit. Last year’s event at the Library of Congress was intended to foster a more peaceful mindset among overworked members of Congress and Hill staffers. “Imagine, for example, offering the practice of listening to three sounds of the bell with a senior policy aide,” read a Facebook post promoting the event. In his lecture, Hanh encouraged the audience to trade political rancor for walks, meditations, and silent meals. Lois Parshley is an assistant editor at Foreign Policy. This article appeared in the April 5, 2012 issue of the magazine.